The Design Square has always been associated with creative exhibitors who display unique items which adds more glamour to our exhibitions. The Design Square by Marriage Mantra, has recently emerged as one of the most popular exhibitions because of its modern yet Indian touch. 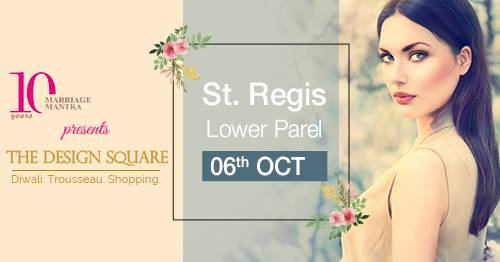 Be a part of one of the most sought after Exhibition of the season - The Design Square )Diwali Edition) on 6th October at The St. Regis, Mumbai.